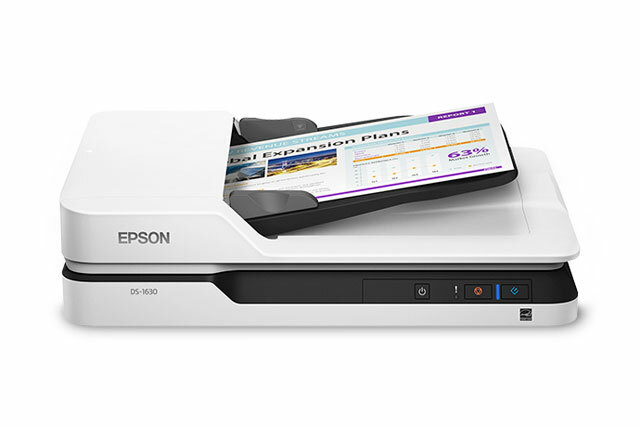 Streamline your work processes with the DS-1630 document scanner. A flatbed scanner that can scan up to 50-pages ADF. This affordable solution is ideal for virtually any task. It can quickly scan stacks of documents up to 8.5" x 14".